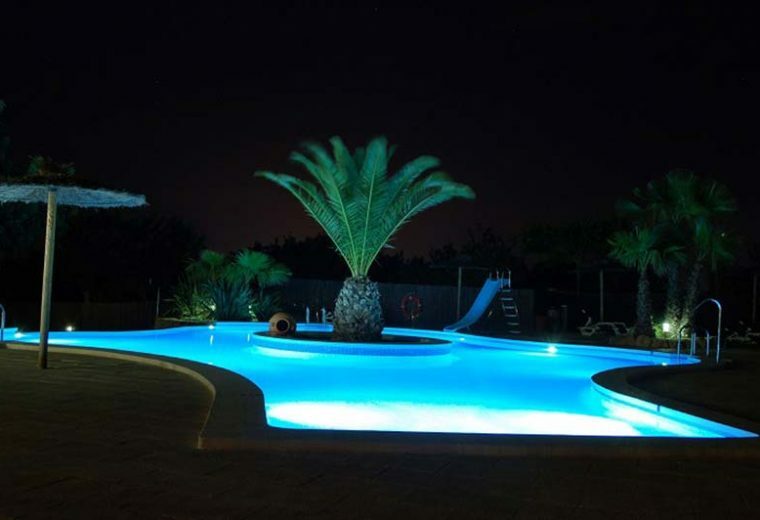 Enthusiasts of camping in Spain with a pool will be delighted by the aquatic park at the Orangeraie. Composed of a large pool and a children’s pool, it was inspired by nature to offer a charming area, enhanced by a central, green island. True to the spirit of your 3-star Campsite, the aquatic park offers both space and privacy, sunshine and shade, practicality and aesthetics. Children enjoy the slide that plunges directly into the large pool. Massage jets and bubble baths are available for everyone. 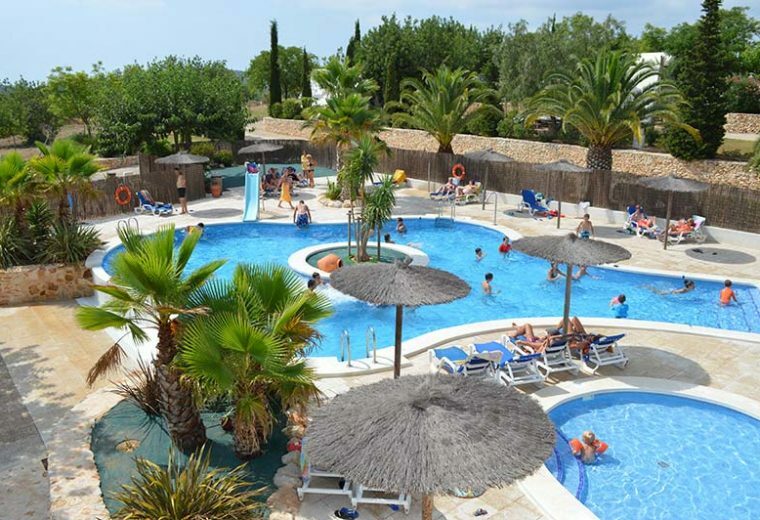 One of the major assets of the Orangeraie Campsite aquatic park lies in the surface of its beach: alternating spaces of the solarium and shady resting areas, the poolside also includes a synthetic lawn where you can relax on a towel or a sun lounger. The aquatic park in your Campsite welcomes you without interruption from 10 am to 8 pm: ideal if you like to spend the whole day at the pool, but also to introduce a ritual bath every morning or to enjoy a relaxing session at the end of a long day. 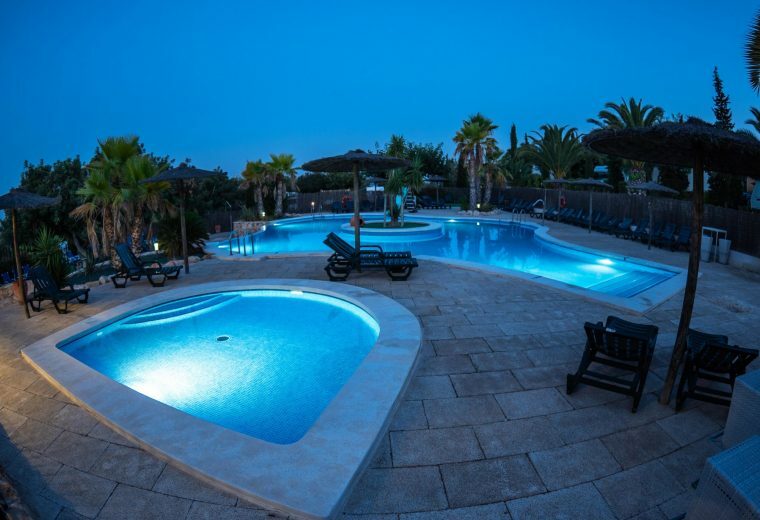 Spacious enough to be dedicated to water games, swimming and well-being, the pool in this 3-star Orangeraie Campsite is a family area, designed for adults and children. 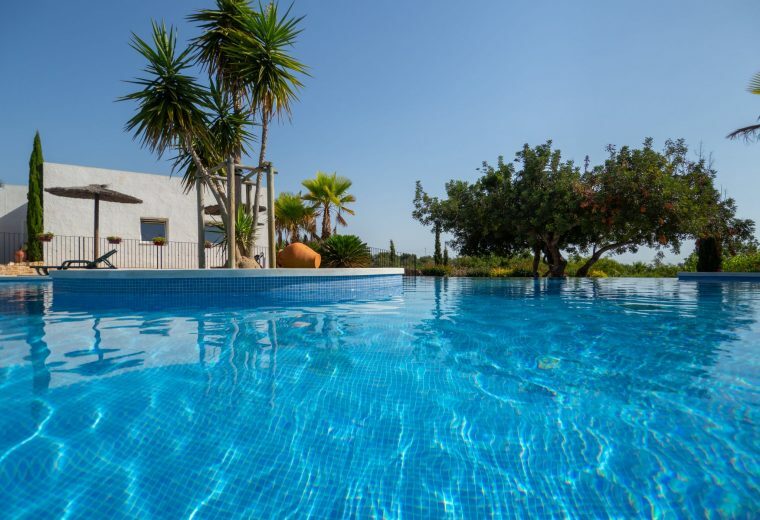 The small pool, circular and shallow, is perfectly adapted for toddlers to discover water. Lots of deck chairs are available around the pools to watch your children, or further back, to sun-bathe or relax in peace and quiet. Mobile, these chairs can be moved to be installed in the full sunshine, in the shade of a tree, or under one of the many straw parasols that equip the perimeter of the pools. Bordered with palm trees, the aquatic area is lit up in the evening: from the terrace of the café, it forms a heavenly setting.